They are calling it the “heat turnaround” in specialist circles, in a nod to Germany’s larger “energy turnaround.” Although we tend to hear more about solar and wind power, the real “hot stuff” might be right beneath our feet. In 2017, there were 23,000 newly constructed facilities in Germany for geothermal energy, which taps heat below the earth’s surface and transports it up to heat our houses and water – which still accounts for almost 85 percent of private energy consumption. 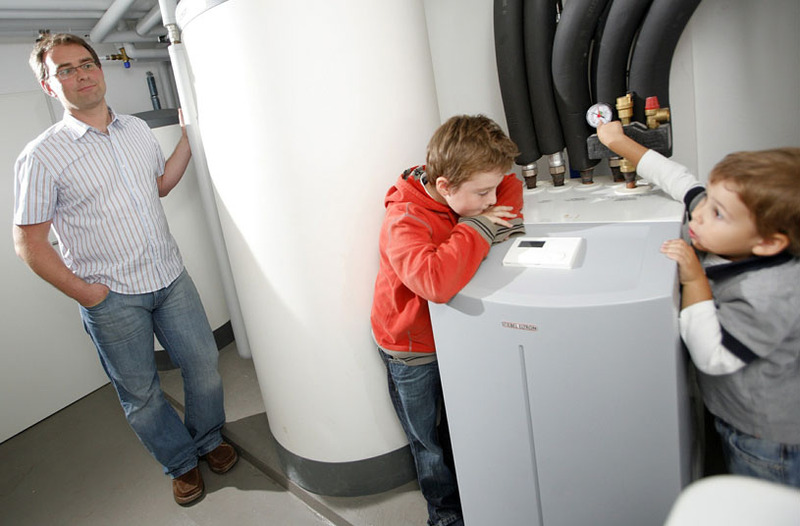 Near-surface geothermal energy is now available in 370,000 buildings, and more heat pumps than gas heaters were installed in new residential buildings in Germany in 2017 for the first time ever, according to the country’s BWP heat pump association. The so-called “mecca” of this heat turnaround can be found in Munich. Within seven years, the capital of Bavaria aims to become the world’s first city with over a million inhabitants to draw 100 percent of its electricity from renewable sources. As part of its ambitious district heating vision, the city’s utility company SWM is installing a dense network of pipes carrying steam and hot water and connecting them to tens of thousands of households. By 2040, it hopes to have completely phased out power plants that burn waste, gas and coal and to rest primarily on geothermal energy.